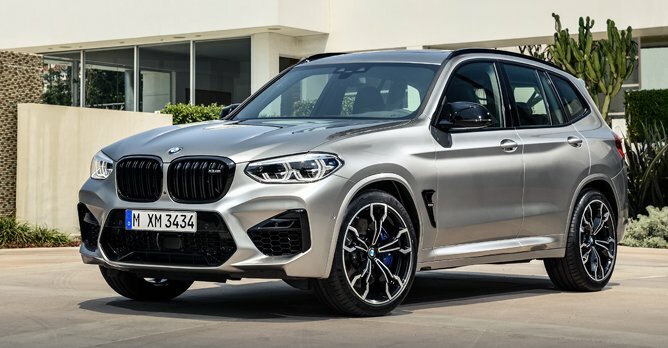 For the first time, BMW M is expanding its high-performance lineup to include the X3 M and X4 M Competition models, and both will herald the arrival of a newly developed six-cylinder engine where 3D printing has been utilised in its production. Large air intakes at the front end ensure the X3 M and X4 M Competition receive an effective supply of cooling air for the engine, transmission and brakes The exterior on both models makes no secret of their performance-focused character. The large intakes at the front end ensure an effective supply of cooling air for the engine, transmission and brakes. The signature M design elements at the front, sides and rear serve to optimise aerodynamics and have been carefully matched to the power unit's performance characteristics and the chassis' tuning. The X3 M Competition and X4 M Competition will be powered by the high-revving unit that features track-proven cooling and oil supply systems as well as the latest M TwinPower Turbo technology update. Generating 503bhp, the 3.0-litre inline petrol engine has a peak torque of 600Nm, while a dual-branch exhaust system helps to deliver an intoxicating soundtrack. The BMW X3 M and BMW X4 M Competition accelerate from zero to 100km/h in 4.1 seconds, while top speed is electronically governed at 250km/h. If the optional M Driver's Package is specified, this rises to 280km/h. The interior design of the BMW X3 M Competition and X4 M Competition give off a sporty yet luxurious feel An ergonomically efficient cockpit design, sports seats and a wealth of model-specific design details give the cabins of the BMW X3 M Competition and BMW X4 M Competition models a sporty yet luxurious feel while the M-style design of the displays and controls makes it easier for drivers to stay focused on the job in hand. A separate control panel on the centre console and two M Drive buttons on the steering wheel allow drivers to choose their desired chassis setup. These buttons allow the Dynamic Stability Control (DSC) mode, the engine's performance characteristics, the settings for the electronically controlled dampers and the steering setup to be selected independently. 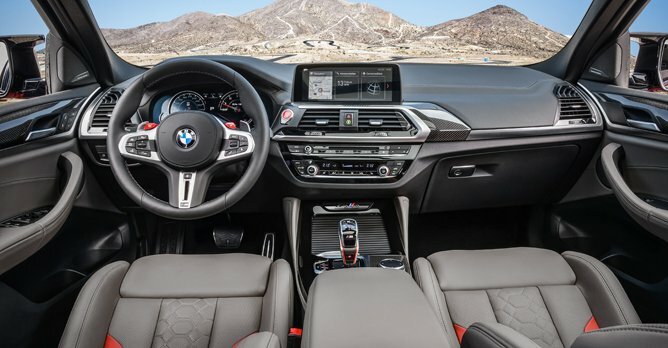 The electronically controlled M xDrive, which works in tandem with the DSC system, only shifts drive to the front axle when the rear wheels start to lose optimum traction. Although firmly focused on a sporty driving experience, both cars retain the versatility for which BMW X models are known. Both models come as standard with a 40:20:40 split-folding rear seats, enabling luggage capacity to be increased to a maximum of 1,600 litres in the BMW X3 M Competition and 1,430 litres in the BMW X4 M Competition.